The National Park Service will commemorate President Franklin Delano Roosevelt’s 136th birthday on Tuesday, January 30th at 3 pm. The event is held in the Rose Garden at the Home of Franklin D. Roosevelt National Historic Site in Hyde Park, New York. The cadets of the United States Military Academy, West Point, are intimately twined with the country’s history. The graduating class of 1915, the class the stars fell on, was particularly noteworthy. Of the 164 graduates that year, 59 (36%) attained the rank of general, the most of any class in. 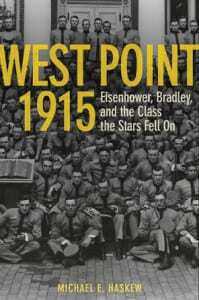 Michael Haskew’s West Point 1915: Eisenhower, Bradley, and the Class the Stars Fell On (Zenith Press, 2014) explores the achievements of this remarkable group. 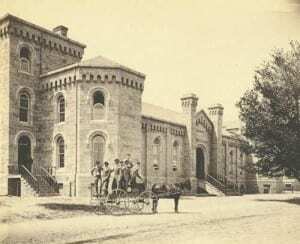 President Abraham Lincoln made a clandestine trip to the U.S. Military Academy at West Point in June 1862, during the Civil War. It was his longest journey away from the White House and his only trip to New York State during his Presidency. In 1847, Thomas Symons operated a book bindery in the village of Keeseville, offering ledgers, journals, receipt books, and similar products. Rebinding of materials was much in demand in those days, a service that helped expand his clientele. While Thomas, Sr., was successful in building a business, his son, Thomas, Jr., would play an important role in building a nation. Thomas William Symons, Jr., was a Keeseville native, born there in 1849. When he was a few years old, the family moved to Flint, Michigan, where several members remained for the rest of their lives. His younger twin brothers, John and Samuel, operated Symons Brothers & Company, the second largest wholesale firm in the state. They became two of Michigan’s most prominent men in social, political, and business circles. Thomas chose a different route, completing school and applying to the US Military Academy at West Point. After acceptance, he proved to be no ordinary student, graduating at the top of the Class of 1874. He was promoted to Second Lieutenant, Corps of Engineers, and served at Willett’s Point, about 50 miles south of West Point. After two years, he was ready for some field work, and his timing couldn’t have been better. Symons was assigned to join the Wheeler Expedition under fellow West Point alumnus George Wheeler. The travels of explorers Lewis and Clark and Zeb Pike are better known, but the Wheeler Expedition is one of four that formed the nucleus of the US Geological Survey’s founding. The engineers, Symons among them, not only explored, but recorded details of their findings. The land encompassing Arizona, California, Colorado, Nevada, and Utah was surveyed using triangulation, and more than 70 maps were created. Their studies on behalf of America’s government produced volumes on archaeology, astronomy, botany, geography, paleontology, and zoology. The possibilities of roads, railroads, agriculture, and settlement were addressed. The experience Thomas gained during this work was invaluable. In 1878, he was promoted to First Lieutenant. In 1879, Symons was appointed Engineer Officer of the Department of the Columbia, and was promoted to captain in 1880. Similar to the work he had done under Wheeler, Thomas was now in charge of studying the area referred to as the “Inland Empire of the Pacific Northwest,” focusing on the upper Columbia River and its tributaries. Much of the land was wilderness, and the job was not without danger. The American government was notorious for breaking treaties with Indians, and groups of surveyors in the region were driven off by angry natives who said they had never sold the rights to their land. Symons was a surveyor, but he was also an officer of the military. Leading a company of the 21st Infantry from Portland, Oregon, into Washington, he faced off against 150 armed warriors. The situation was potentially disastrous, but Thomas listened to the concerns of the Indians, learning their histories and beliefs. Bloodshed was avoided as Symons skillfully negotiated a truce, allowing him to survey from the Snake River north to the Canadian border, unimpeded. Much of the upper Columbia study was conducted in a small boat carrying Symons, two soldiers, and several Indians. His report provided details of the region’s geology and history, a review so thorough that it was published as a congressional document. Combined with his earlier surveys of Oregon, it made Symons the government’s number one man in the Northwest. 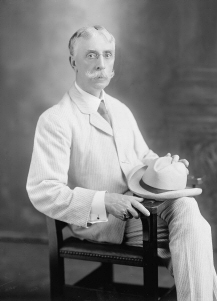 Whether or not his superiors agreed with him, Symons addressed the Indians’ issues in prominent magazine articles, sympathizing with their plight. Few knew the situation better than Thomas, and he freely expressed his opinions. Thomas’ proven abilities led to a number of important assignments. 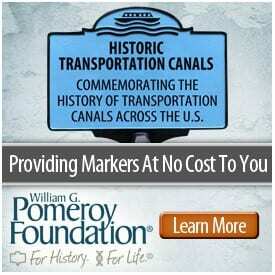 In 1882, he was placed on the Mississippi River Commission, taking charge of improvements on the waterway. In 1883, the Secretary of State asked Symons to lead the US side of the joint boundary commission redefining the border with Mexico. Surveying, checking and replacing border markers, and other work was conducted while averaging 30 miles per day on rough ground in intense heat. For his efforts, Thomas received formal thanks from the State Department. Symons’ next assignment took him back to familiar territory, the Northwest. Based in Portland, he was given charge of developing river and harbor facilities in Idaho, Montana, Oregon, and Washington. He did primary engineering work on canals, including one in Seattle that remains a principal feature of the city, and planned the tideland areas for Ballard, Seattle, and Tacoma harbors. Seattle’s present railroad lines and manufacturing district were included in planning for the famed harbor facilities. On the Pacific coast, Thomas’ work on the world-renowned jetty works at the mouth of the Columbia River was featured in Scientific American magazine. He also provided the War Department with surveys and estimates for harbor construction at Everett, Washington. 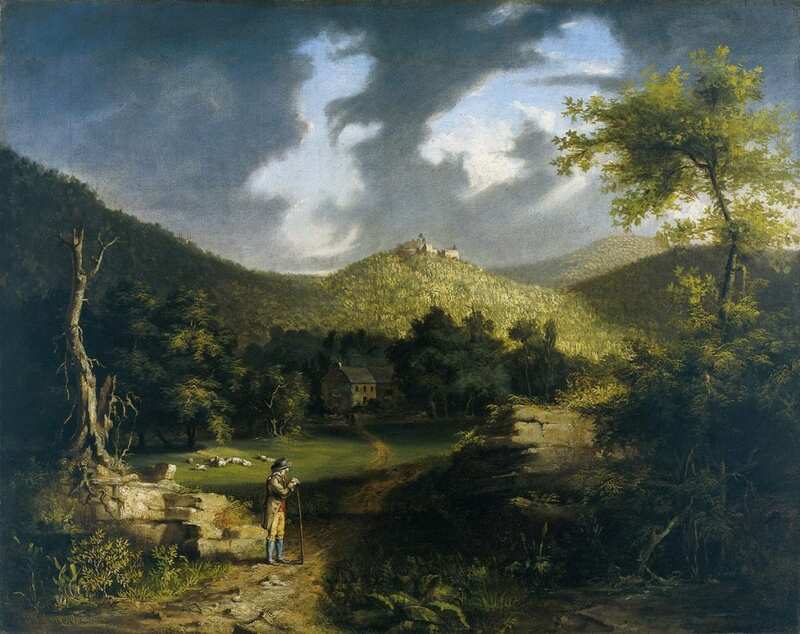 Next week: Even bigger and better things, including historic work in New York State. 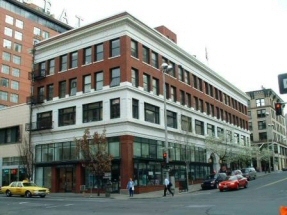 Photos: Thomas Williams Symons, engineer; Modern version of the Symons Block in Spokane, Washington. 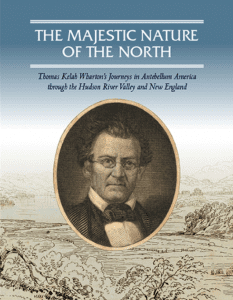 Lawrence Gooley has authored 11 books and more than 100 articles on the North Country’s past. He and his partner, Jill McKee, founded Bloated Toe Enterprises in 2004. Expanding their services in 2008, they have produced 24 titles to date, and are now offering web design. For information on book publishing, visit Bloated Toe Publishing. This Sunday, October 2, 2011, the Saratoga National Historical Park will offer a special theatrical performance called “Rendezvous with Treason: the Benedict Arnold Betrayal.” The free program will be held from 1:30 to 2:30 PM at the park, located between Rt. 4 and Rt. 32, just north of the Village of Stillwater, NY. This first-person theatrical performance, presented by educators and actors Sean Grady and Gary Petagine, will give audience members a unique view of Arnold and André and their attempt to bring down the cause of American Independence. “Rendezvous with Treason” is sponsored by Friends of Saratoga Battlefield. For more information about this or other events, call the Visitor Center at 518-664-9821 ext. 224 or check the park website. 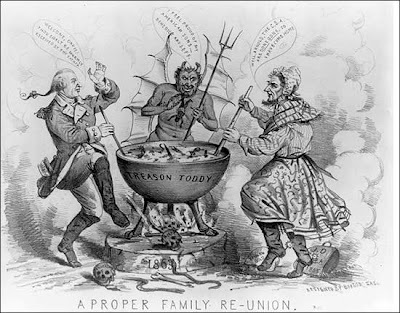 Illustration: a political cartoon, captioned “A Proper Family Re-Union” at the bottom. It depicts Satan welcoming Benedict Arnold and Jefferson Davis to Hell. Published in 1865. The Military Academy at West Point has launched an ambitious Center for Oral History to serve as a living archive on the experiences of American soldiers in war and peace. The Center aims to be a powerful learning tool for West Point cadets and an important research center for historians, as well as a destination for the public to gain greater understanding of the essential and unique calling of the U.S. soldier. The Center for Oral History will exist largely online, with high definition video and digital audio files, easing access for everyone from campus cadets to scholars, journalists and interested students half a world away. 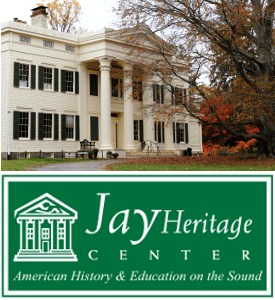 The New York History blog recently reported on the demise of the New York State Veterans Oral History Project at the New York State Military History Museum and Veterans Research Center in Saratoga Springs. One of the Center’s first projects has been to interview members of West Point’s Class of 1967, who, upon graduation, were sent almost immediately to the war in Vietnam. Another has been to interview soldiers who have served in Iraq and Afghanistan as part of a comprehensive, anecdotal account of those current campaigns. 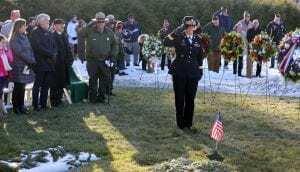 Researchers are also gathering material from veterans of World War II, Vietnam and the so-called “forgotten war” in Korea. By definition, the Center will be a work in perpetual progress, continuously updated as history unfolds. The objective is to assemble an unrivaled video, audio and text record of military life – in the field, as well as in the classroom and also the “war room,” since the Center hopes to include interviews with senior Pentagon strategists and former Secretaries of Defense and State who have helped shape military and foreign policy. But its core mission is to capture the personal narratives of those who have lived the military life. The Center has the benefit of a Board of Advisers composed of military scholars, journalists, government officials and filmmakers to help set its agenda, develop new projects and content, and assist with fund-raising. In addition to a number of military historians from around the country, board members include Lt. Gen. (Ret.) Brent Scowcroft, a 1947 West Point graduate whose long government career included serving as National Security Advisor to Presidents Gerald Ford and George H.W. Bush; Rick Atkinson, a Pulitzer Prize-winning journalist for the Washington Post and author of several major accounts of American wars, including The Long Gray Line and An Army at Dawn; Martha Raddatz, longtime correspondent for ABC News, who covered the Pentagon for National Public Radio and authored The Long Road Home (2007), the account of a surprise attack on the Army’s First Calvary Division in Iraq; and Ken Burns, whose opus The Civil War heralded a new standard for multi-part documentaries, which he followed with Baseball, Jazz and The War. Much of the credit for creating the Center goes to Col. Lance Betros, who took over as head of West Point’s history department in 2005 and marshaled resources to secure initial funding and recruited senior faculty to help develop some of the early content. Point itself, through oral histories with the Academy’s former superintendents, deans, commandants, cadets, and others. Seminars, whose charged situational debates have been broadcast on PBS. Mr. Brewster is working to develop a Fred Friendly program at West Point to take on the subject of fighting insurgencies, bringing together a hypothetical cast of players ranging from the President and Secretary of Defense to the Chairman of the Joint Chiefs of Staff, a policy maven and even a White House press officer. In hoping to draw maximum traffic and general interest users in addition to scholars, the Center will utilize universal search technology so that anyone searching the web for primary source interviews with veterans and soldiers will see links to the West Point content. Like a true archive, the site will have virtual rooms and chapters dedicated to certain subjects and periods in military history, from the Civil War to Vietnam and Iraq. Links to other web sites offering veterans’ interviews will also be provided. The oral histories will be integrated into West Point’s own curriculum, so that professors can easily draw from interviews as part of their own course materials.